A mortgage is likely to be the single largest debt the vast majority of us will incur during our lifetime. 6.9 million homeowners in the UK can only afford homeownership by taking out a mortgage. But what would happen to the family home if you were no longer around to pay the mortgage? Unfortunately, 52 mortgage possession claims and 37 mortgage possession orders are issued every day as a result of families not being able to meet their repayments. Could your loved ones afford the mortgage without your income? Would your family be required to downsize or move to a new area? What affect would this have on your family’s lifestyle? With the outstanding mortgage debt in the UK being £121,678 and 35% of households having no savings, it’s easy to see the importance of having adequate protection in place. There are a variety of ways to protect your family should something happen to you; covering the mortgage and ensuring their lifestyle is disrupted as little as possible. In truth, there’s no difference between life insurance and mortgage life insurance. Mortgage life insurance is simply a life policy taken out for the specific purpose of paying off your mortgage if you were to pass away during the term. It’s sometimes referred to as mortgage protection or mortgage protection life insurance and often takes the form of a decreasing term policy. The length of your policy is usually aligned with your mortgage term, protecting your family home and dependants, should anything happen to you. Therefore, if you have a 25-year mortgage term, your mortgage life insurance policy would run for at least this period of time. The amount of cover you secure (or sum assured), would also mirror the outstanding balance of your mortgage. You can decide whether to pay guaranteed or reviewable monthly premiums. If your premiums are guaranteed, the cost is fixed for the duration of the policy. Whereas reviewable premiums, although cheaper initially, can be increased during the term. As with all forms of life insurance, the greater the risk you present to the insurer, the higher the premium. For example, an active 30-year-old non-smoker will pay significantly less than a 45-year-old smoker who is overweight. As well as age and smoking status, the level of cover and policy type (see below) you take out also have a major bearing on cost. There are typically two types of life insurance used to protect a mortgage; decreasing term and level term life insurance. The more common, decreasing term, is designed to cover the outstanding balance of a repayment mortgage. Here, the pay out amount decreases over the course of the policy, mirroring the remaining mortgage. In contrast, the pay out sum of level term life insurance doesn’t reduce in value, making it more suited to cover an interest-only mortgage. Both forms of mortgage life insurance could mean your beneficiaries would receive the necessary funds to pay off the mortgage if anything were to happen to you. Choosing the right policy type will be determined by your budget and the type of mortgage you have in place. Decreasing term premiums are cheaper as the risk to the insurer reduces with each passing month. However, if you have dependants, your policy may also need to cover future living costs as well as the mortgage. In this scenario, level term cover may, therefore, be better suited. It’s not a legal requirement to have life insurance with a mortgage. However, although life insurance for a mortgage isn’t compulsory, it’s usually a very good idea. Most mortgage providers won’t require you to have life insurance in place before approving a mortgage. However, it’s important to question how your loved ones would afford the repayments if the worst were to happen. Occasionally, lenders will request that you have life insurance in place before releasing funds as a way of ensuring their risk is protected. It’s not compulsory to buy life insurance directly through your mortgage provider or estate agent, although it’s likely they’ll encourage this as they could earn a commission. Life insurance costs can vary significantly between insurers. This means the cover offered by your lender is probably not the most cost-effective option. It’s always best to compare multiple quotes to ensure you secure the right cover at the best possible price. 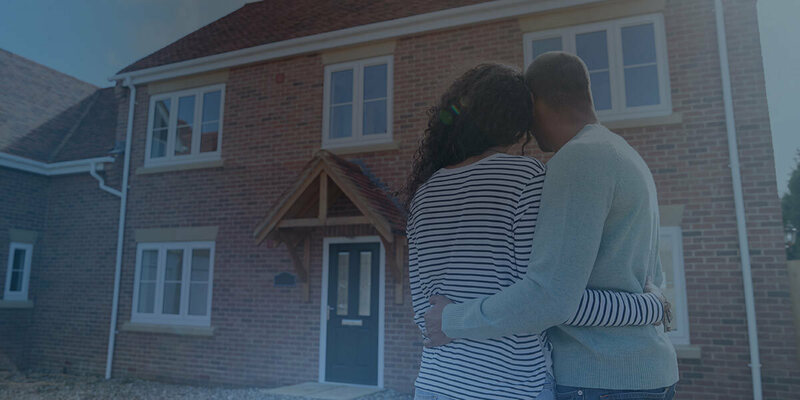 It’s not essential to purchase further life cover if you take out a mortgage, although it could be beneficial. If you have life insurance in place prior to taking out a mortgage, it’s likely you had another aspect of your life you were looking to protect – for example, children. It may be that your current policy is sufficient to protect your property as well as your family and therefore, you don’t need additional mortgage protection. However, if your existing sum assured isn’t sufficient, you may need to look at increasing your cover or taking out an additional policy. This will obviously depend on your available budget and whether or not you can afford to pay for two policies simultaneously. Alternatively, you could cancel your existing policy and take out new protection with greater coverage, which would be suitable to cover all aspects of your life. When taking out mortgage protection, the term length and sum assured are determined by your current mortgage. However, it’s common for people to remortgage. Your existing mortgage has expired, (reverting to a more expensive standard variable rate). Contact your insurer and inform them of the changes you require. Compare quotes for a new policy which meets your new requirements. However, due to being older and other lifestyle factors, this could result in higher premiums. It’s best to make both lines of enquiry to ensure you’re not unnecessarily paying over the odds for your mortgage life insurance. Unfortunately, without adequate protection, you could be leaving your loved ones financially exposed or worst case, having to leave the family home. To remain in the family home, your loved ones would have to take over the mortgage and continue to make the repayments. If suitable provisions were not put in place, their budget may struggle to cover this significant and unexpected monthly expense. Alternatively, they could pay off the entire mortgage. However, without life insurance, it’s unlikely many families would have the available funds. If neither of the above options were feasible the property could be repossessed by the mortgage lender and likely sold at auction. This would cause even more heartache, at an already challenging time. In this worst-case scenario, the amount already paid off the mortgage would form part of your estate, (following the deduction of legal fees and inheritance tax). When might you not need mortgage life insurance? If you don’t have any dependants and are single, you may not require mortgage life insurance. Remember, this protection is about paying off your mortgage if you were no longer around. Therefore, if you have no one you want to pass your property onto, then this type of protection may not be necessary. In this instance, if you were to pass away and had an outstanding mortgage, your property would go to the government by default. Also, if you already have life insurance and this policy covers your new mortgage you probably won’t need additional protection. Don’t pay twice unnecessarily. In life insurance terms, a trust is simply a legal arrangement designed to ensure that the pay out from your policy is distributed as you intended. The policy is looked after by a named trustee until the time comes for the benefit to be released to your beneficiaries. Because the policy has been written in trust, the proceeds avoid forming part of your estate. This could mean your loved ones receive a much greater sum. Having more control over who gets the funds and when. At Reassured we offer a dedicated free trust service. Our team can help you fill out the lengthy application and unpick any confusing insurance jargon. Joint mortgage life insurance or 2 single policies? Often, a property purchase is much more achievable if you take out a joint mortgage, with a spouse, partner or friend. It can be tempting to think that the joint approach is always the way to go. You may already have a joint mortgage and bank account, so why not joint life insurance too? There’s usually around a 25% saving to be made by taking out a joint policy, rather than two single policies. Also, if you’re married and have no dependants, it’s often easier to set up a joint policy. However, it’s important to remember that a joint policy will only ever pay out once, normally on the first death. If you have dependants it’s generally more beneficial to take out single policies, providing two separate pay outs and double the coverage. Another consideration is, what if the relationship breaks-up? If you have a joint policy, this is likely to mean you’ll have to cancel the policy. You would then need to take out a new policy when you’re older, paying higher premiums. The majority of life insurance policies offer a critical illness element at an additional cost, to protect you if you fall severely ill.
Critical illness cover will pay out a lump sum if you’re diagnosed with a serious, yet not terminal, illness. This cover type could be invaluable if you’re a homeowner, as it’ll provide a lump sum pay out if you’re no longer able to work. The pay out could be used to replace your income and cover the monthly mortgage repayments. All these conditions would have a major impact on your ability to work, earn money and look after your family. Please note: Not all critical illness cover is the same and different policies will include different conditions/illnesses. Most mortgage life insurance cover now includes terminal illness cover as standard. Terminal illness cover protects you if you’re diagnosed with a serious illness by a medical professional, and are predicted to die within 12 months. Having access to your life insurance proceeds early could enable you to clear the mortgage, giving you peace of mind that your loved ones are looked after. These funds could also pay for any private medical treatment, a carer or necessary adaptions to your home. Is mortgage life insurance the same as mortgage payment protection insurance (MPPI)? No. Don’t confuse mortgage life insurance, with mortgage payment protection insurance (MPPI). MPPI is designed to pay your mortgage for a period of time if you become too ill to work, or are unemployed. Whereas mortgage life insurance covers your mortgage if you die. As part of the PPI fiasco many people in the UK were wrongly sold MPPI and in recent years they’ve reclaimed funds from their provider. If you have taken out cover through a lender, you can switch and possibly make a saving. For most of us, our property is the single largest investment we’ll ever make. More importantly, it’s a home for our loved ones. The good news is you can secure your family’s home and their future by taking out life insurance. What you may be surprised to learn is that the cost of premiums can vary significantly, as insurers employ different underwriting processes. Reassured is now the UK’s largest FCA registered life insurance broker. We’ll search the market on your behalf, identifying the very best quotes for you to choose from. Our award-winning service is completely free to use. Why not seize the day and put us to work to find you the best possible deal.